It has been talked about for so long. And now it is here. 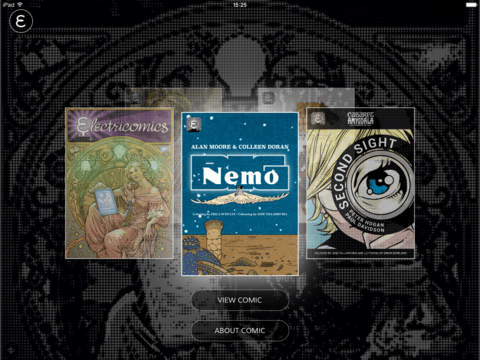 Electricomics, the real life emergence of a new kind of digital comic book storytelling experience, ripped from the fiction of Alan Moore and Mitch Jenkins‘ The Show film projects. And with an all-star cast of comic book creators to boot. You can download the iPad App here, like I just have. Other operating systems will roll out in the future. And what is waiting for you? Red Horse by Garth Ennis and Frank Victoria. A moving, digitally painted story from World War One. Sway, by Leah Moore, John Reppion and Nicola Scott a time travel Sci-Fi story with an interactive twist. Cabaret Amygdala Presents: ‘Second Sight’ by Peter Hogan and Paul Davidson. 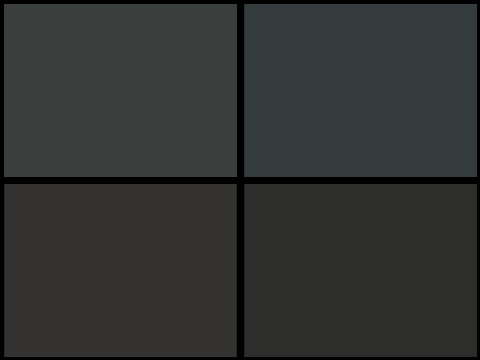 A creepy little horror story in the EC tradition, which uses digital to let the reader build the picture and feel the creeping dread for themselves. And of course Big Nemo by Alan Moore and Colleen Doran, a rejuvenation of Winsor McCay’s most well known comic character, Little Nemo. And moreover, the app intends to let you lets you create, package, and publish your own digital comics in this fashion as well, with a creator tool available soon from Electricomics.net for PC and Macs, for infinite canvases, decampi layered digital comics, and more. The professional comics are a jumping off point, we want you to join in, and push forward what is possible for yourself. Maintain control of your own content. We don’t host it, it’s yours. You store it where you like, make what you want out of it. Comics load in the Electricomics App instantly from their URL. Keep a library of your favourite comics, whether they were made by you, your friends, or your greatest heroes, they are all accessible in the same app. Whatever is added to Electricomics remains Open Source, and the property of the community using it. Take it. Make with it. Improve it. It’s yours. Quite the challenge – who is up for it?